On the internet, nobody knows you’re cis. On the internet, nobody knows everyone assumes you’re cis. Until you use the word “trans”. Damn! Here I thought I was being so clever. In fact, I was only demonstrating that I don’t even know what I don’t know. Thanks @SailorPlutoid for helping me navigate the minefield of my own prejudices. In the interest of full disclosure: I identify as a white, middle aged, heterosexual, cisgender, male. There are two reasons I feel it is important to state this explicitly. The first is a practical concern that affects how I go about making this movie. The second is, perhaps, a more important observation about why I think this project is important. Over the past month I have had three separate interactions with people on Twitter that made it clear that they assumed, not surprisingly, that I am a transman. 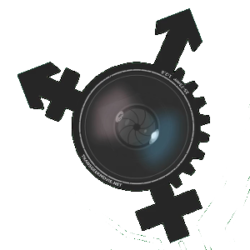 Well of course: My Twitter handle is @TransGeekMovie and I tweet a fair amount about LGBTQI and gender issues. Nonetheless, this misunderstanding came as a surprise to me. It’s clear that I needed to make my gender identity explicit. I do not want to be misperceived online as trans. I don’t want people to assume that I understand, from personal experience, what is to live that reality. I don’t want my voice to be heard as one that can speak with authority on matters within the LGBTQI community. I have never sought to hide the fact that I am cisgender. But not stating the fact clearly has caused confusion for some. I have added “cisgender” to my Twitter profile. (I was surprised to find, searching other profiles, how rare a declaration this is.) Luckily, nobody that mistook me for trans seems to feel that I intentionally mislead them. So why is this even blogworthy? From a practice standpoint, being clear about my gender identity is important to the project at hand. 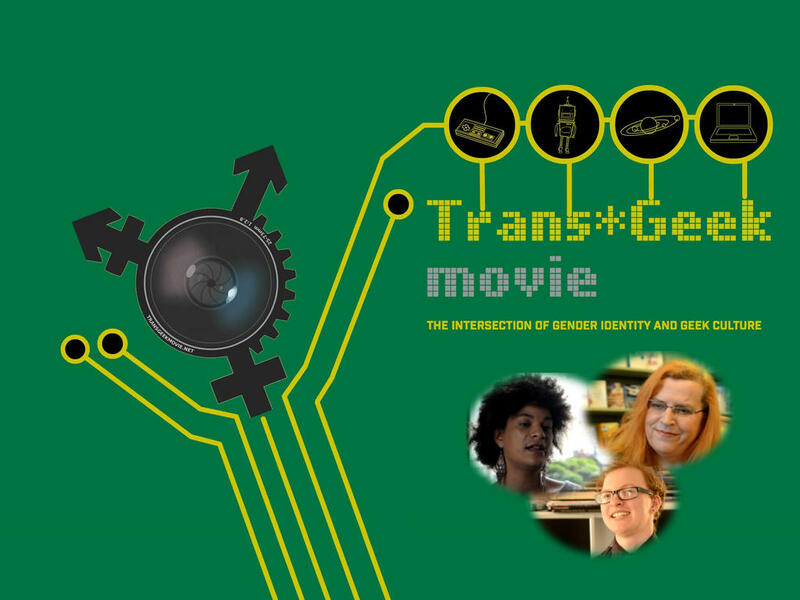 TransGeek Movie is a documentary that will only be successful if there is some basic level of trust between myself and the people I interview. My gender identity and sexual orientation, are something I always establish early on with prospective interviewees. Additionally, I also need to establish trust with the audience of the film. This is not possible unless the viewers understands the preconceptions, prejudices, and privilege with which I approach this project. Needless to say, I will continue to be blind to many of my biases, but it makes everyone’s job easier by admitting to the biases I am aware of. Being mindful of some of my blind spots is the second and perhaps more important reason this matters. I am a white, middle aged, heterosexual, cisgender, male; living in the Midwest United States. I live a life in which, I never have to be conscious of my identity. I am not an African American man. I am not a lesbian. I am not a genderqueer youth living in Turkey. I am, in fact, exactly what all of these identities are nominally contrasted against. The fact that no one applies qualifiers to prescribe my identity, (if they consider it at all), is exactly what privilege looks like. In the vast majority of situations, I am not expected to define or explain myself before I speak. My voice is taken for granted. This is not true for so many people: Who they are; who they love; the god they pray, (or choose not) to pray to; the color of their skin; the place they come from. All of these things can be used to define identity. Sometimes people proudly self identify. Sometimes, others hang labels on them. Privilege is largely invisible to those of us that enjoy it. When somebody points out that you are exercising yours, even unintentionally, you need to stop and listen. Listening well is the first step to being a good ally. I will make missteps on my journey. I will make mistakes producing TransGeek Movie. Hopefully, I will listen to others, and learn from my errors. To date, people have been patient and kind pointing out my errors. It is no one else’s responsibility to educate me. But I am trying to learn, and listen. Previous PostPrevious The right tool for the job.